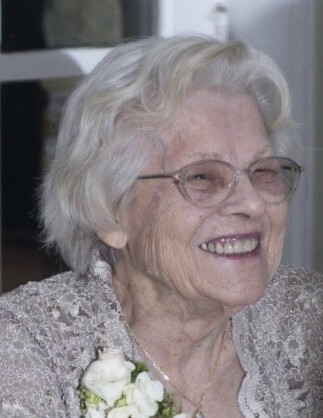 June F. Hawk, 87, of Greensburg, PA, was peacefully called to glory to see her God on Monday the 8th of April, 2019, joining her beloved husband Arthur F. Hawk, her parents, brother, and most of her peers in heaven. June loved being a homemaker and a Realtor. She is survived by her four caring children, Arthur F. Hawk Jr. (Barbara), Susan M. Sharp, Robert J. Hawk, James B. Hawk (fiancée Holly), 11 grandchildren, and 13 greats. Grandma June was an incredibly determined matriarch of her family, showing grit, grace, and perseverance. She was stylish, outspoken, sharp, a fantastic hostess and a fiercely devoted football fan. Sharing the love of family and friends, she was able to strike up a conversation with anyone and left a lasting impression wherever she went. Thank you to Excela Health Westmoreland Hospital for the excellent care and kindness. She will be greatly missed and remembered for her steadfast approach to life, rooted in her strong faith. All are welcome to join for a funeral service to honor this special woman at Wolfe Memorial, LLC. 3604 Greensburg Pike, Pittsburgh, PA 15221, on Friday, the 12th of April at 11:00 a.m. Interment at William Penn Memorial Cemetery. Following will be a celebratory luncheon in honor of June’s life. In lieu of flowers, memorial contributions may be made to St. Emma’s Monastery, 1001 Harvey Avenue, Greensburg, PA 15601, or a charity of your choice.